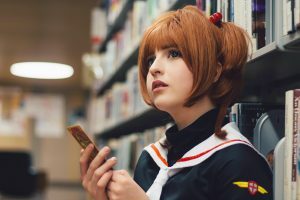 I have loved Cardcaptor Sakura since I was 3 years old. I grew up watching the show, and it is an absolute dream to cosplay Sakura as an adult! To be honest, the photos on the website don’t do it justice. The wig is shaped much nicer and is very like-like! Out of the bag, the wig was longer than I wanted it to be. 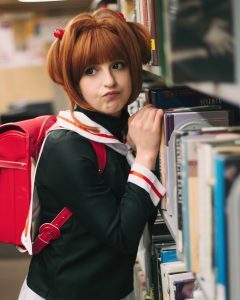 Sakura’s hair is chin length, but the wig was pretty far down my neck. It was very easy to cut though! Very forgiving. The top part is already styled to keep the volume of Sakura’s hair, and there are two long pieces to mimic the anime. I trimmed those as well. The colour is great! 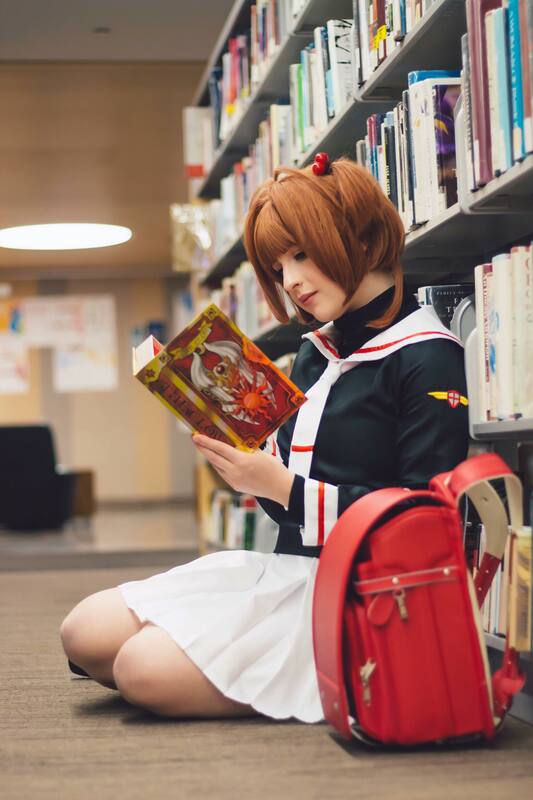 I prefer Sakura with brown hair instead of the blonde that I see many cosplayers choose. It’s a very nice medium-light brown that looks very natural. In many of the photos I took it looks like real hair! Someone even asked if it was my real hair styled like this, because they couldn’t tell! Beautiful and very natural! The perfect colour for Sakura! The wig is very soft! It’s very comfortable on my head and to the touch. Looks even better than the photos online. Very full! Lots of volume that stays even with wear! 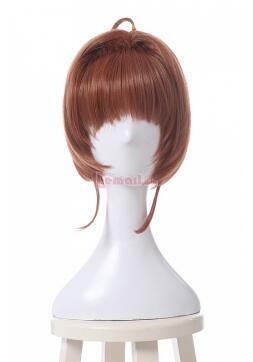 Service with wig-supplier/l-email wigs is always great! I love their products and they are always so kind to me. Hope you enjoyed my review! If you’d like to purchase this wig, or any other wig from Wig-Supplier, you can use my code “Jinie” for 12% off! 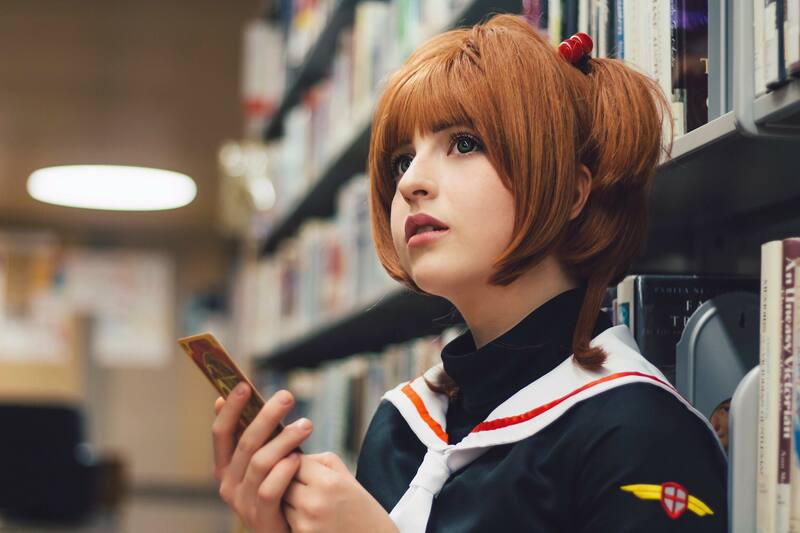 This entry was posted in Buy Cosplay Wigs, L-email Wig review, L-email Wig Sponsorship, Wigs and tagged cardcaptor cosplay, sakura cosplay, sakura cosplay wig, wig review.